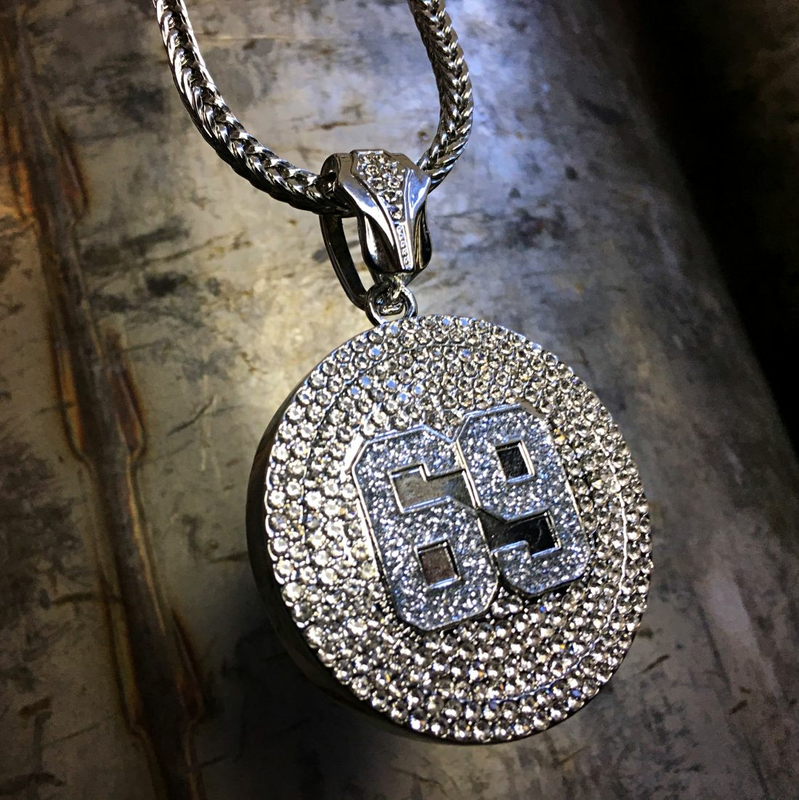 Mens 69 pendant Franco chain necklace. Necklace measures 36" long x 4mm wide. Gold finish over high quality base metal. 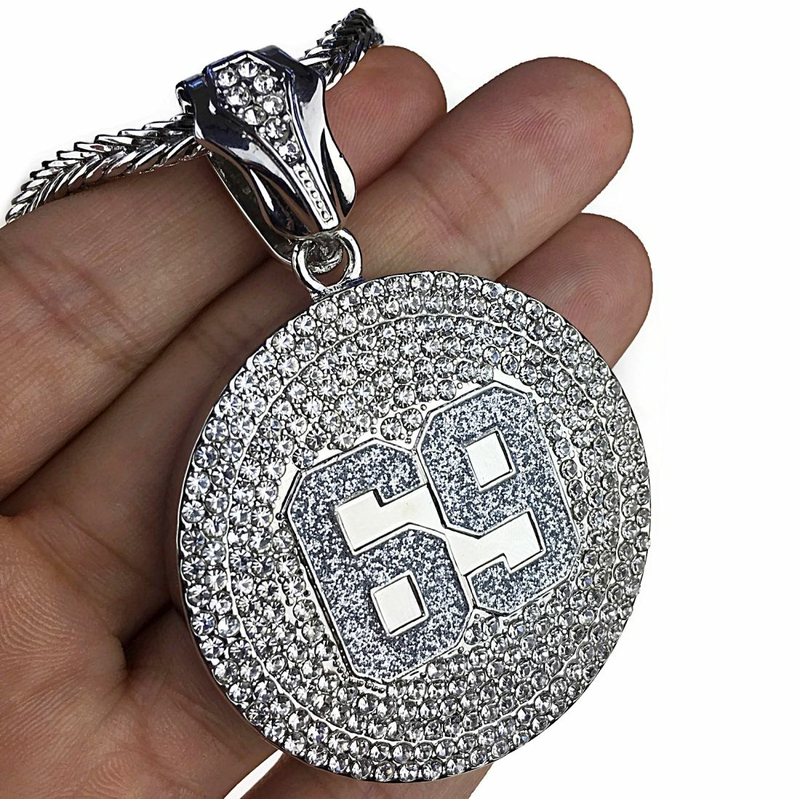 69 round pendant measures 50MM diameter. 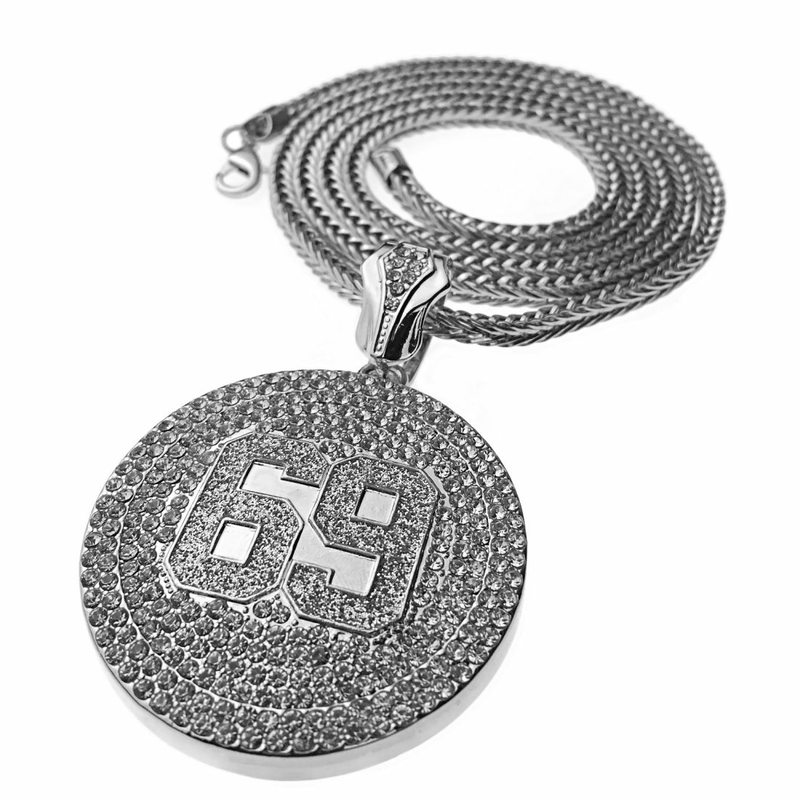 Pendant is micro pave with round cut stones. This piece feels substantial - a solid design. Franco chain has a lobster claw clasp. 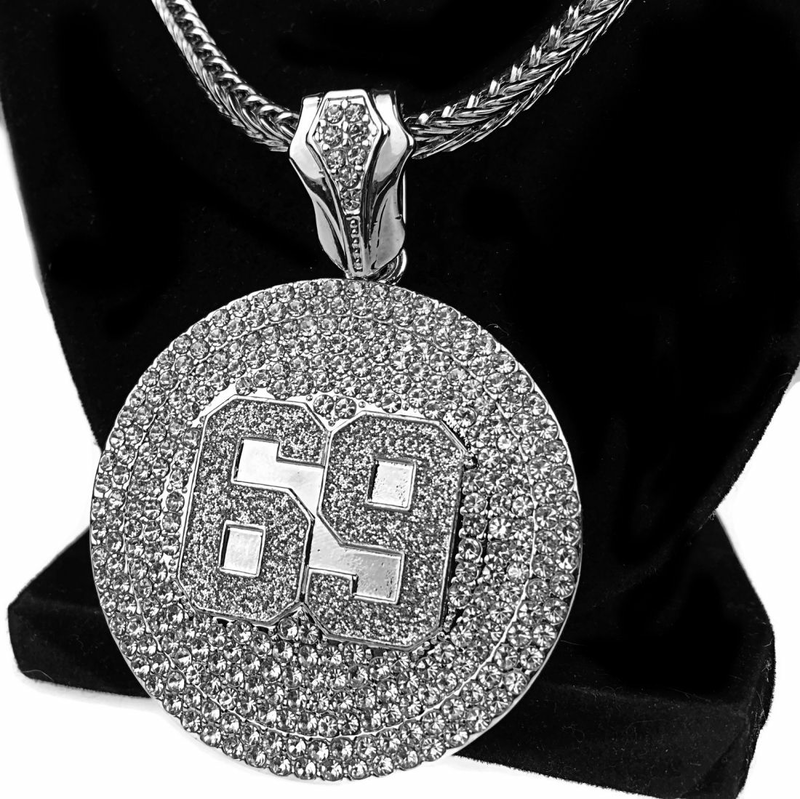 100% FREE SHIPPING in USA. Order now!